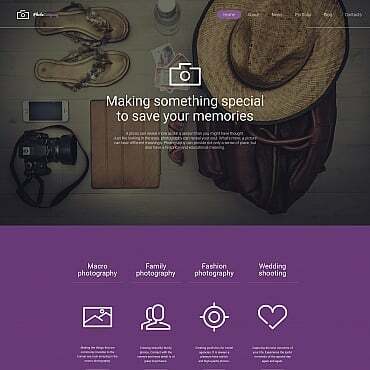 Web Design Basics Design Principles Design Trends - Have the Predictions For 2014 Come to Life? Design Trends - Have the Predictions For 2014 Come to Life? It's become a tradition for every self-respecting blog somehow related to web design to have a post predicting web design trends for the upcoming year or summarizing trends for the ending year, or both. Well, this post is not going to be just your typical design trends post. I was curious if the trends that were predicted for 2014 in fact became actual trends. So I took 4 of the most mentioned trends that were anticipated for 2014 and looked into what happened to them during the year. Here are the results of my small research... Plus my predictions for the upcoming year. Flat design is not a new trend, it first arrived back in 2006 when Microsoft released their Zune media player which interface had all the typical traces of what today is commonly called flat design, but in that time was named "Metro" design by it's creators - Microsoft. Those traces were large, bright, grid-like shapes, simple sans-serif typography and flat icons. Later, in 2013, Apple completely abandoned Skeuomorphism in favour of flat design, and this is when everyone started naming flat design as the main design trend. Some people have already started predicting the near death of flat design. It is too popular, too much of it everywhere now. I do not see it going anywhere in the nearest future though. The functionality and most importantly familiarity of flat design is what makes it popular with users and thus appealing to designers. So yeah, the prediction was correct here, flat design was definitely the most powerful trend in web design in 2014. Parallax scrolling isn't a new concept either. Web designers began implementing this technique, previously used in arcade games of the 80's, back in 2011. The technique is simple enough - the foreground images and the background images move at different speeds thus creating an illusion of depth. It is not that simple to implement it though. 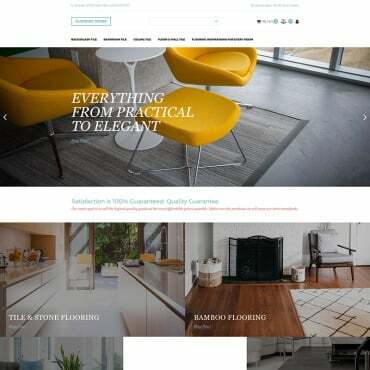 In web design this technique became rather popular, it is a way to make a website stand out after all. But contrary to the predictions, I can not say it became a huge trend in 2014. As previously mentioned - parallax scrolling is a rather complicated technique to implement correctly. It takes a lot of time and skill to make it look right. While there are good examples on the web, most of the parallax scrolling websites I've seen this year are done wrong and look really bad. Plus the user experience concern, this is one of the main reasons most developers do not use this technique. It may be fun for a while, but the overall UX is poor with parallax, and thus not what developers want to use and not what the users want to see. So no, parallax scrolling was not a hot trend in web design this year. Responsiveness has been one of the most discussed topics this year and rightfully so. This has everything to do with user experience, and UX is truly the hottest trend in web design. Making sure your website is equally beautiful on all possible devices and screen sizes is making sure your visitors will spend pleasant time with your content and thus will have a good user experience. I'd also add browser compatibility here, this is equally important for UX after all. So yes, responsive design was indeed a trend this year and I'm pretty sure it won't go anywhere in the years to come. Ambient video backgrounds were named the hottest trend for 2014 in not one article I read last year. It can be rather easily implemented and it may seem like a simple technique to make a website stand out. The truth is though - web developers hate using videos in the backgrounds. The load time suffers, the videos distract visitors from the site's main goal etc. I see video backgrounds as useful where the videos actually add to the content, not distract from it. But consider this a web design trend? I don't think so. I have actually seen more websites with full-screen image backgrounds this year. I've already mentioned that I think flat design and responsiveness along with browser compatibility are here to stay. And probably for a long time. These trends may see some alterations though. 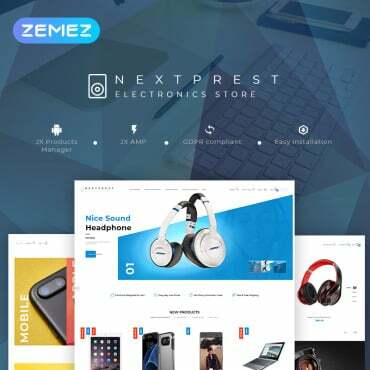 For instance flat design may eventually morph into material design and responsive design trend may result into creating popularity for mobile first design. We'll just have to wait and see. So what are my other predictions for 2015? SVG or Scalable Vector Graphics have been in development since 1999 and I believe we will see plenty of them in 2015. This technology allows you to have perfect images no matter what size they are scaled to. This is another part of the ever rising trend of responsive design. I think 2015 will be more and more about responsiveness. I've already had a post at this blog about ghost buttons and how they are anticipated to be the main design trend in 2015. I do believe we will see a lot of ghost buttons in 2015, they are stylish and minimalistic and they fit almost any design you can come up with. What's there not to love? While Flash is a thing from the past, CSS animations are the way to the future. Everyone loves animated design, there is no other explanation to the popularity of Flash in the past, despite all the drawbacks. Now you can have animated elements with no drawbacks of Flash. I think it's time we see more CSS animations, there are no reasons not to. Easily accessible, prominent social icons will be a must next year and probably the years to come after it. There is no decrease in popularity for social networks, people spend more and more time at Facebook, Instagram and Twitter. Allowing users to like and share your content brings you more traffic, I'm sure you understand this. So prominent social buttons should be a must if you want the world to notice your content. Well, this is it. I do not aim this article to be an absolute, the thoughts above are only my personal opinions and observations. Do share your thoughts in the comments below!